Today we saw the inner workings of a company that goes beyond water works. This company has utilized local materials to bring jobs, health education and sanitation, and most importantly, clean water to rural Cambodian villages. 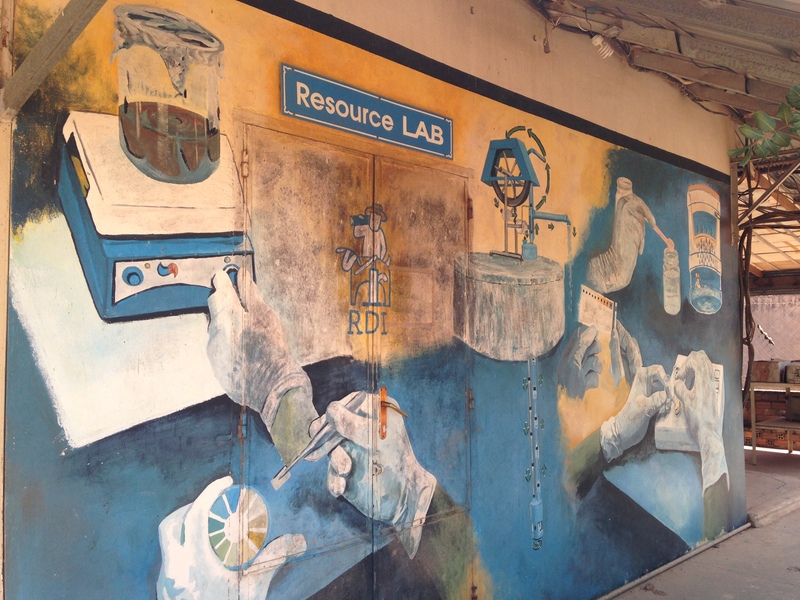 RDI, Research Development International, has a ceramic water filter factory that has developed a system catered to that region. For international development and relief work, it is important to consider that there is no cookie cutter mold that works in every location. Each country and even regions within that country will have constantly revolving issues specific to them and therefore you must be able to adapt and develop methods for that area. Blending the ingredients into large chunks to be molded into a pot. 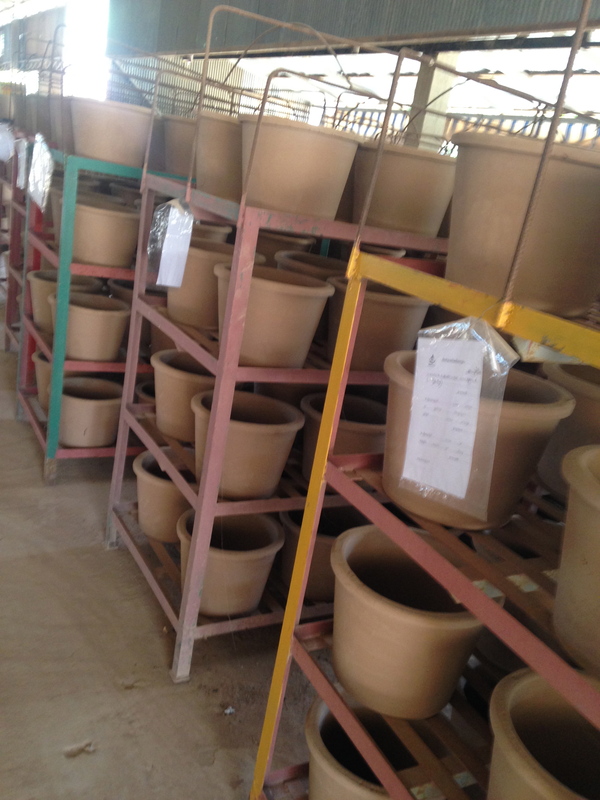 RDI has done a wonderful job at sourcing local materials, clay and rice husk, to form terra-cotta like pots that filter water. Sounds simple, right? Wrong. Specific details down to the type of clay used matters. 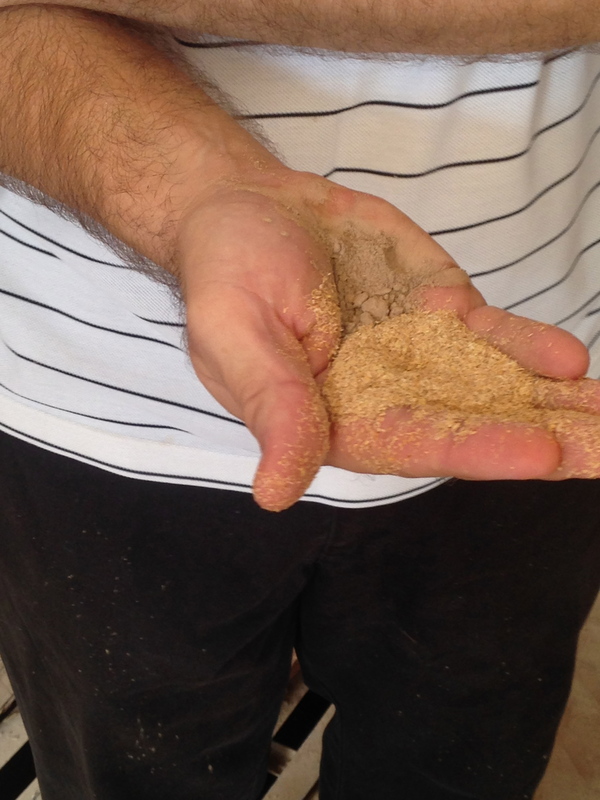 RDI uses an artists type of clay that is easier to shape, but also the right porosity to capture parasites. Once formed, a gentlemen smooths out the pots to work out the indentions from the mold. Aesthetically pleasing goods dictate high quality and credibility for the locals. 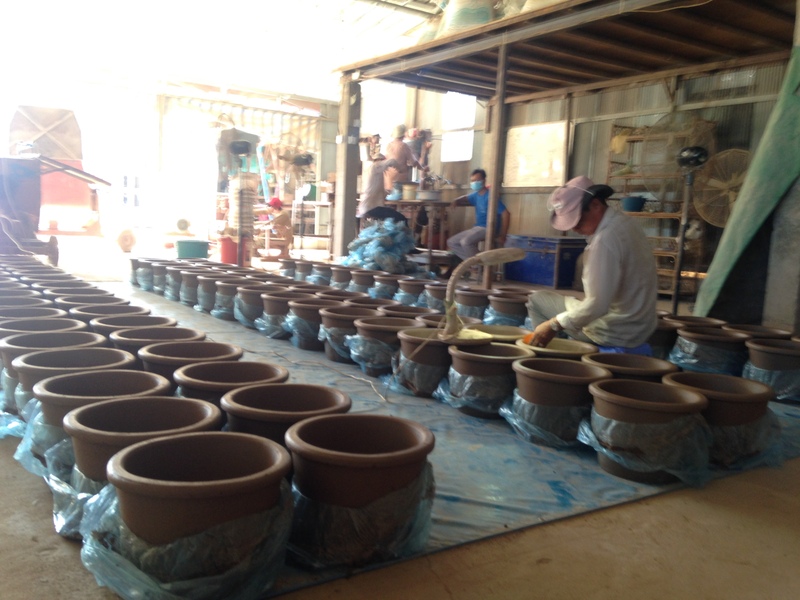 The clay pots are then impregnated with a silver bath because silver acts as a natural antimicrobial agent. Once completed, the clay pots go into a plastic holding container.Water is poured into the pot and filters out into the holding container and is ready for consumption. Finished pots after fired in kiln. The science behind this type of water filter is not new in the scene. In fact, Potters For Peace uses this technology worldwide. What is specific to this area is the materials used to make the pots and the methods of education. In sort of a neapolitan ice-cream fashion RDI, Kone Khmeng, and Wine to Water all work together. RDI develops the “technology”, Kone Khmeng works on educating and doing work in the field, and Wine to Water is the guiding hand along the way. Something very reputable about Wine to Water is that they don’t go into any project in any country and tell them what’s “right” or “wrong”. They go in with the knowledge, like Brad Ponack a renowned water sanitation specialists and engineer, to help the ground partners negotiate and think of proper methods. With Wine to Water’s presence, they’ve managed to introduce new ideas of sanitation, where you should build a well in relation to a latrine, and how a latrine should be constructed to prevent contaminating well water. RDI offered information overload, it was in a way another show of “How It’s Made”. However, we were in for a bonus treat because we get to see these filters in action. It was like we were following a crumb trail towards the big finale. Following that crumb trail really allows you to understand the complexity of having a sustainable business model. You must be detailed and focused on every aspect along the trail to establish positive relationships and successful reputations within the community. Along this trail, RDI has gained knowledge of the Cambodian culture. For example, the system of bargaining is engrained in the culture. Therefore, if the price for the filters is set at $20, they have room for negotiation to the end of profit margin at $13.50. 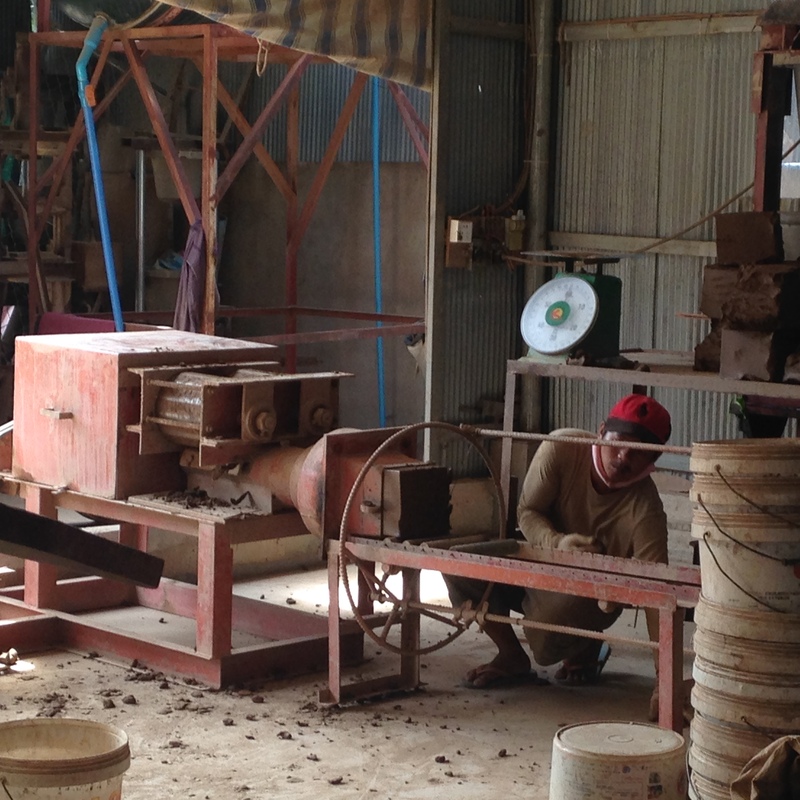 From the ceramic clay factory we traveled to the Svay Rieng province. 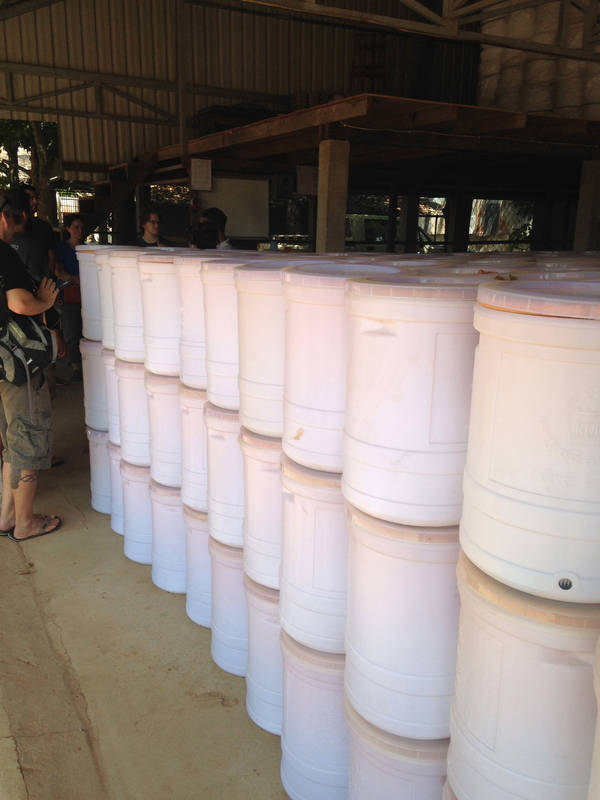 It is here, the pinnacle of rural cambodia, that we would be doing work with Wine to Water. It is also here that poverty seemed most rampant. To compare to my experience in Costa Rica, Svay Rieng was still well developed. We didn’t see any houses composed of thatch and hay, mostly everybody has a well on site, thanks to Kone Kmeng for providing over 500 in the community. But to compare it to Ho Chi Minh City, which was just hours drive away and in the heart of the city, was like night and day. Ho Chi Minh is the largest city in Vietnam and growing at an exponential rate. The population exceeds 9 million and by the end of 2014 the GDP grew by 8.9%. In Svay Rieng, the population is just over 400,000. Being essentially a geographic skip away, Svay Rieng seems unable to grasp onto the reigns of development. You begin to ask why. Then you remember incidents imposed by the Khmer Rogue, a wipe out of 25% of the population just 40 years ago. Such a recent even in Cambodian history has not only dramatically sized down the population to young people, but it wiped out the intellects, the artists, the creativity, and also the hope. The citizens of Cambodia have been seriously stained by the events surrounding the Khmer Rouge and left at the disadvantage while cities just hours by boom with prosperity. Then you begin to question what it would take to bring them back to where they could potentially be. Perhaps the government. Perhaps the people. But when the people fear the government, progress is stagnant. When people try to protest to ask for better wage and are shot by the police, something that happened just months ago, progress is stagnant. When the locals say when asked about their government “We can’t say much. We’re not allowed to talk about him [the prime minister]”, progress is stagnant. There’s a lot to digest about the stagnant progression of a nation that once had the chance to be as flourished as it’s neighboring country.